With hair salons promoting the most innovative and extraordinary dyes, styles, and chemical treatments along with additional beauty treatments, men are often left out of any semblance of a comfortable salon experience, but Sport Clips is changing that. For men and boys, there is no better place for a great cut. 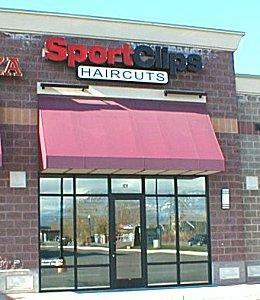 Founded by Gordon B. Logan in 1995, Sport Clips is the only major hair salon that caters solely to men and boys. With the mission "to create a championship haircut experience for men and boys in an exciting sports environment," this innovative chain is striving to become the dominant men's hair care chain in the country, and with the number of salons doubling each year, it is rapidly becoming a winner. With more than 300 salons in over 30 states, there are thousands of patrons each year experiencing the unique atmosphere of a men's hair salon, and the sports-oriented chain has partnered with many award-winning sports teams, including the Texas Rangers, San Antonio Spurs, Denver Nuggets, and Houston Rockets. In May 2005, the chain became the official hair cutter of the Veterans of Foreign Wars of the United States (VFW), offering discounts and special deals to honor veterans. But why is a men's salon such an innovation? Isn't all hair the same? In fact, men's hair cuts can be as complex as women's, but require different techniques and skills to achieve the best look. Sport Clips offers specialized training programs to its hair stylists so they are updated on all the latest hair clipper cutting techniques as well as what the newest trends are for men's styles. Because most men's hair cuts are short styles, men face greater difficulties with dandruff and other scalp-based hair conditions, including thinning and potential hair loss, because longer hair may not be an option to conceal irregularities. An experienced men's stylist can help create a distinguished look without compromising a man's specific hair care needs. When visiting this themed salon, patrons will find good hair care and expert stylists without the fluff normally associated with trendy salons. The hassle-free atmosphere promotes efficient styles and service perfect for a lunch break or other fast-paced schedule, and the absence of heavy chemical treatments (there are no perms, acrylic nails, or other strong chemical styles or products used in these salons) ensures that there are no lingering odors on clothing, whether it is a business suit or a t-shirt. Only products suitable for men's needs such as Paul Mitchell and American Crew are used, and every stylist is familiar with the idea of a "business hair cut" and how it can be personalized to suit the style and flair of every man. To keep every cut looking its best, patrons are always welcome back between cuts for a complimentary neck trim. 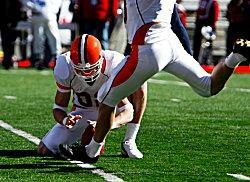 Don't miss the game when getting your cut! Because it is a salon geared toward men, it is no surprise that sports memorabilia and other associated paraphernalia can be found in these salons. The most innovative decoration, however, is the fact that each stylist's station is equipped with a television tuned only to sports events, letting clients keep up on the recent scores while they keep up with hair style trends. Many store locations also offer local sports merchandise for sale, including pennants, bumper stickers, and other fan items, demonstrating their dedication not only to great men's cuts, but also to supporting minor league and local teams. To find a Sport Clips location, visit the official website at www.sportclips.com for their detailed store locator, or call 1-800-872-4247 for more information.